Send your child on an adventure with Robin Hood and Angie to defeat the evil Prince John! 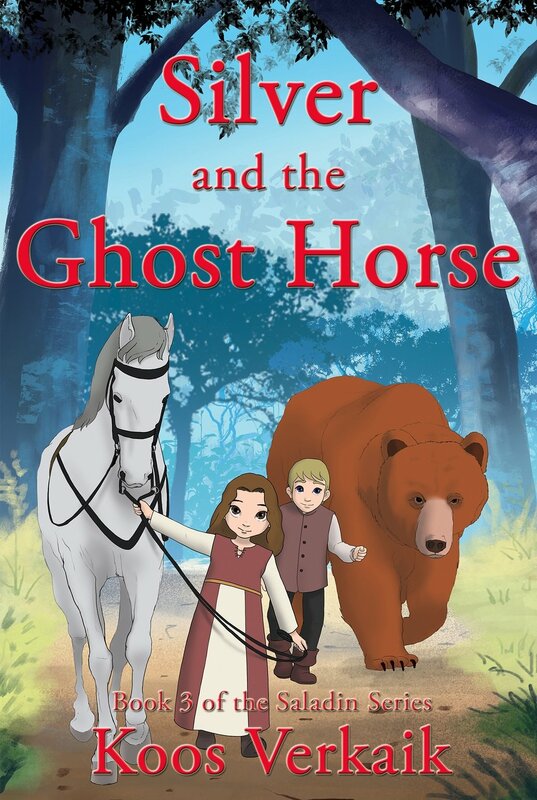 In Silver and the Ghost Horse, Book 3 of Saladin series, Angie and her wonder horse Silver plunge into another dangerous adventure when a sly counselor and a giant soldier decide to destroy the camp of Robin Hood. The giant soldier, Buck Bains, and the counselor work with the evil Prince John to create a super army to find Angie, force her to bring them to the camp to arrest Robin Hood, and bring Angie and the two wonder horses, Saladin and Silver to the Prince. When Angie and her friend, Joe and his pet bear, Bruto, go to Nottingham to confront Buck Bains, she and her friends are surrounded by the prince’s soldiers with no escape. Then suddenly a magical man called the Sultan and his strange band of men appear and rescue Angie and her friends or so it appears. The Sultan holds Joe and his bear hostage and gives Angie an unpleasant ultimatum that leads to a surprising, unthinkable turn of events that will keep you turning pages until the very end.